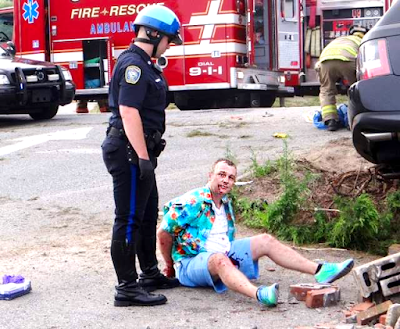 Ben Shealey is in prison for killing an innocent pedestrian while driving drunk & racing away from the Cape Cod cops. Benjamin Shealey paid about $60,000 cash for a Range Rover, and drove it away with illegal plates because his driver's license was suspended from previous drunk driving violations. Shealey has admitted that around 6PM on the warm summer evening of 13 July 2013, he drunkenly sought to escape from police. 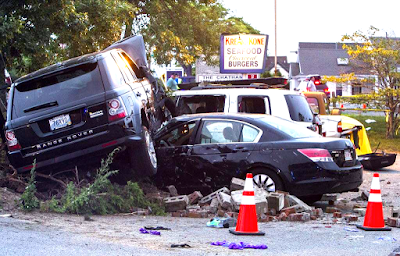 He ran down pedestrian Albert Della Malva, killing him & mangling the remains, plowed into a family car, and destroyed other standing vehicles. 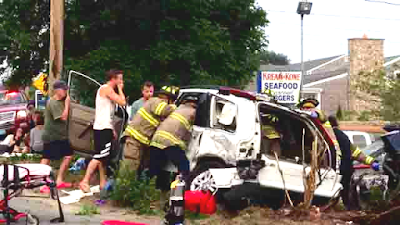 The 9-year-old Tomlinson twins visiting from Virginia were seriously injured; their parents perhaps physically less damaged, but left fearful of their daughters' survival. Many remain greatly troubled... How's Shealey specially connected? 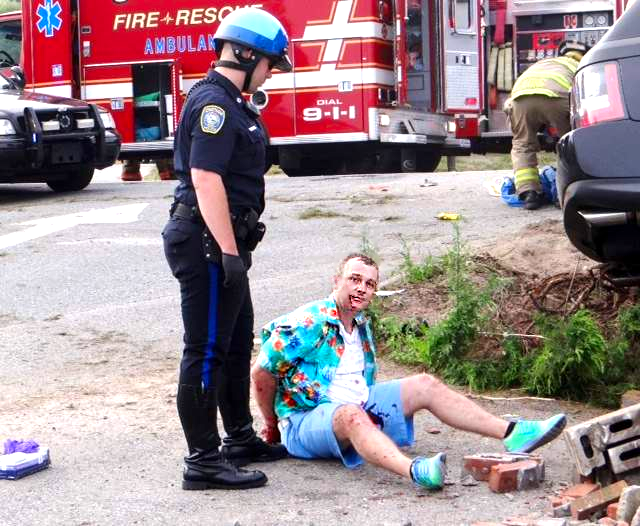 On being read his rights at Cape Cod Hospital after the crash, Harwich Police Officer Keith Kannally recalls Shealey laughing and smiling (link). Was Shealey mocking the law? He refused to supply a blood sample to determine degree of intoxication -- requesting his attorney instead. The written police report states Shealey laughed & intoned "Good luck!" as Officer Kannally departed. Shealey was first represented in court by his uncle Frankie. Later interviewed outside the courtroom, "Faultfree Frank" Shealey's now a poster boy for legal evasiveness (link). Both Shealey family performances can be seen here (link). Perhaps a 'good lawyer' admits nothing, but wholly innocent people have been horribly damaged by Ben Shealey's rampaging. Shealey was sentenced in April 2015 to 7½ to 10 years in Massachusetts State Prison. His team of lawyers now seek a sentence reduction, claiming Shealey has become "remorseful" for the killing. The grandmother of the injured young girls (one continues to suffer from brain injury) is blunt: "He took a life... His family enabled him to do this."